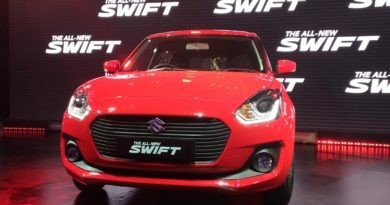 After several leaked images of the Maruti Suzuki Swift Dzire doing rounds on the internet, the company has finally unveiled the car. 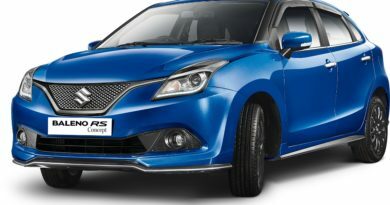 The Swift Dzire continues to be a sub-4 meter car, putting an end to the rumors that said otherwise. The New Dzire looks more curvy and elegant thanks to the hexagonal front grille, DRL Headlights, and a Ciaz like boot lip. Built on a new platform, the weight of the sedan has been reduced. The petrol powered sedan weighs 85kg less than before and the diesel Dzire is 105Kg lighter. The New Swift Dzire will officially launch on 16th May 2017, when the bookings will open up. Dimensions- The all-new DZire is 3995mm long, 1515mm tall, 1735mm wide and has a wheelbase of 2450mm. These dimensions means that the length is unchanged but the seadan is 40mm wider, 40mm shorter in height and has a 20mm longer in wheelbase. As the new DZire sits lower to the ground, ground clearance has gone down by 7mm to 163mm. However, the boot space has been increased by 60-litres, taking it to 376-litres. Interiors- As with the exterior, the interiors of the cars are completely new. The centre console houses a touchscreen with circular control dials, and there is a three-spoke flat bottom steering wheel with mounted controls. The company is trying hard to position it as an driver’s car. Apart from this there are other luxuries like Android Auto and Apple CarPlay. Engine and Gearbox- Both the Petrol and Diesel engine remain unchanged for the new car. 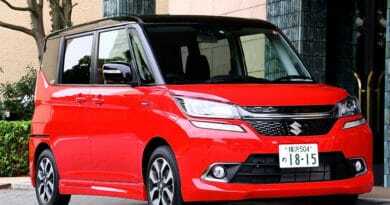 There is a 1.2-litre Petrol unit and a 1.3-litre diesel engine. Both the engines will be offered with a 5-speed manual transmission and a 5-Speed AMT gearbox. On the safety front, the new DZire gets dual front airbags and standard ABS.